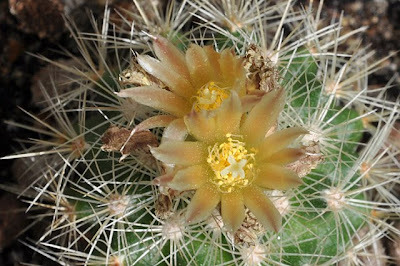 My Echinocereus engelmannii v. armatus (Joshua Tree National Park, California) flowered for the first time in the late spring of ‘09. 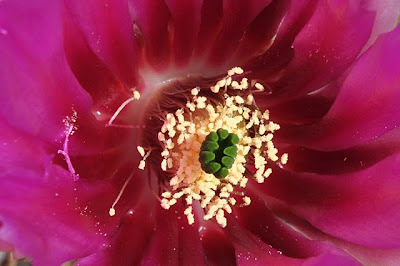 The flower was beautiful with bright yellow anthers, a mesmerizing green stigma, and petals ranging from intensive pink to almost crimson at the center of the flower. 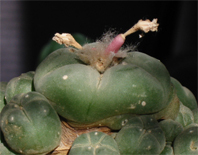 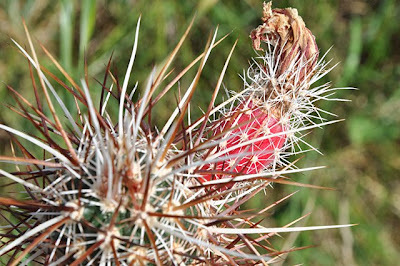 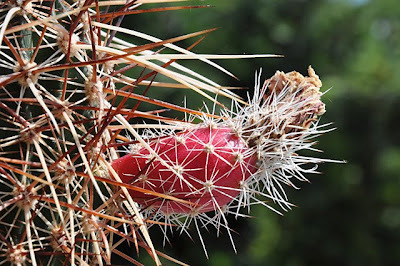 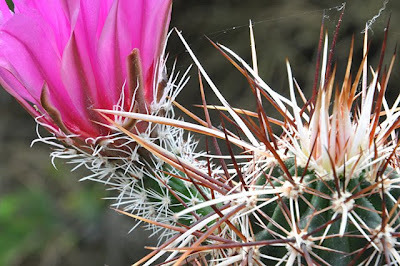 The plant easily lives up to its varietal name - even the flower stalk is heavily armed with spines, protecting the ovary and the coming fruit. 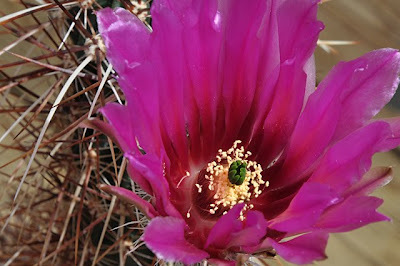 I hand-pollinated the flower and two months later the plant bore fruit. 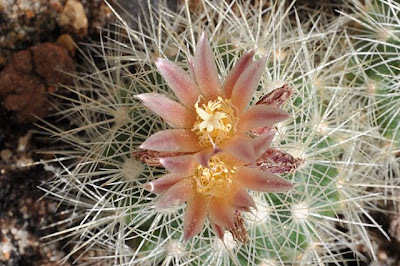 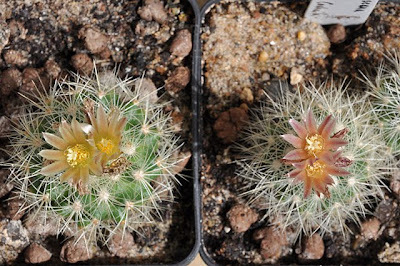 This is the only mature Echinocereus engelmannii v. armatus in my collection and no other Echinocereus plants flowered at the time so my E. engelmannii v. armatus seems to be self-fertile. 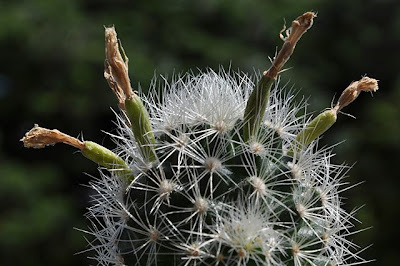 Time will tell if the seeds are viable.